We know what it’s like living in Philadelphia, you’re busy all the time. It’s not as if you moved to a larger city because you wanted to sit at home more often. So you have things you do all day long and when you get home, your top priority just isn’t fixing the drippy faucet or catering to those piddly issues around the house. Your top priority is probably falling asleep in enough time so that you can get up the next day and do it all over again. So is that lock you’ve refused to fix for the past three months a big deal? We hate to throw a hurdle at you, but it is very much a big deal. Unless, of course, you came to the big city to get robbed instead of achieve something in your career. In that case, we’d say it’s probably in your interest to leave it as it is. By “deal with it” we really don’t mean use a clever combination of duct tape and determination to stop up your door while you’re in your house. We merely mean do something about it on the immediate. To start, you should definitively diagnose that your lock is broken. Sussing out the actual issue with the lock might decrease the replacement cost needed, for example if you only need the cylinder of the lock fixed you’re not looking at an astronomical cost. 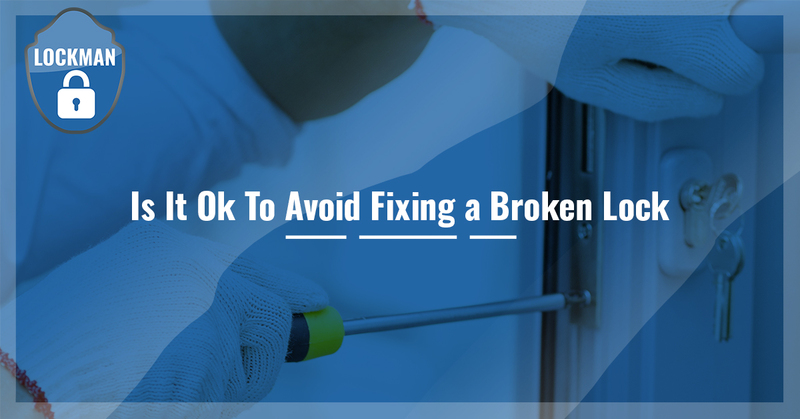 Like when you visit your doctor, the more information about the symptoms you’re experiencing you can offer to your residential locksmith, the easier it’s going to be to figure out the problem and start fixing it. That saves more time for you to do with as you will. The first way to start diagnosing if your lock is broken is by testing the designated key for the lock and seeing if it responds. If the key to your lock won’t unlock the door anymore, it’s likely an issue with your door’s lock cylinder. If you’re unsure, be diligent and check out the state of your key. It might be that your key is missing a tooth or is a bit twisted. It’s a much simpler fix to get a key re-made than it is to replace a lock cylinder. If the key turns in the lock but will not lock or unlock the door, there is likely something more severe wrong with the lock. If the internal mechanics of a lock are no longer able to maneuver themselves properly in the lock’s chamber. This situation is quite helpless and you’ll need the whole unit replaced at that point. As your local locksmith, Lockman is proud to help keep you safe in your home. Certain lock brands break more often than others and we’ll be sure to help you pick out the best lock for your budget and needs when we come to replace your current broken lock. Contact us today and eliminate the danger of getting your Philadelphia flat broken into now.